ANAHEIM, CA – The importance of increased collaboration across the dairy community, defending the good name of dairy foods, and pursuing innovative new marketing strategies were key themes this week here at the National Milk Producers Federation’s 101st annual meeting, where 800 attendees heard from their policy and promotion organizations on how to create more opportunities for the U.S. dairy industry. Hosted jointly by NMPF, the National Dairy Board and the United Dairy Industry Association, this year’s event was themed “We Are Undeniably Dairy,” building on a campaign launched earlier this year that celebrates dairy’s undeniable goodness in the areas of nutrition, sustainability and community involvement. NMPF’s leaders, in their remarks to members, stressed the need for America’s dairy companies to do more in collaboration with other marketing cooperatives. NMPF’s annual Town Hall event featured presentations from staff on the latest policy issues affecting the industry, including efforts in Congress to address immigration reform, the fight against misbranded dairy imitators, and NMPF’s extensive work this year to achieve a positive outcome in the ongoing NAFTA negotiations. 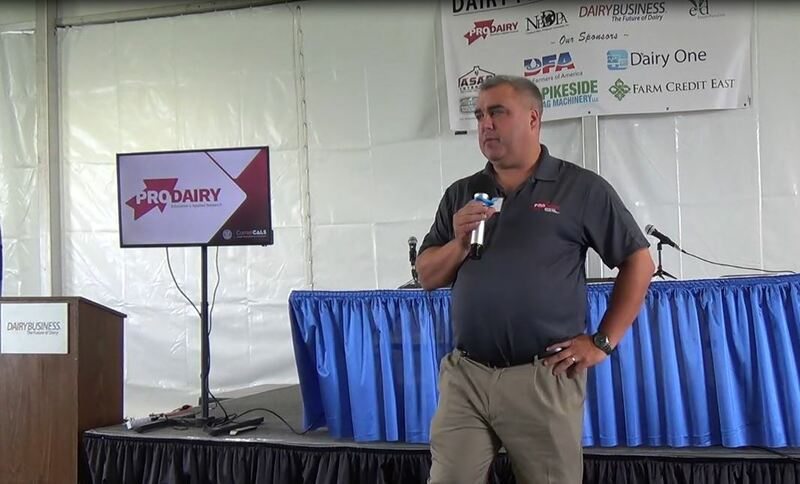 Later in the day, NMPF President and CEO Jim Mulhern discussed the organization’s work this year to improve the dairy safety net in the coming farm bill, as well as its new campaign, Peel Back the Label, which challenges the misleading marketing practices used by certain food companies. “To surmount the hurdles that we face, and carry these efforts across the finish line, we must stand together as a united industry,” Mulhern said. “Our dairy community is unstoppable when we engage on these important issues.” He said major grassroots efforts will be needed in support of proposed congressional reforms to immigration laws. He also discussed how NMPF will be working more closely in the coming year with dairy processors on farm policy improvements. 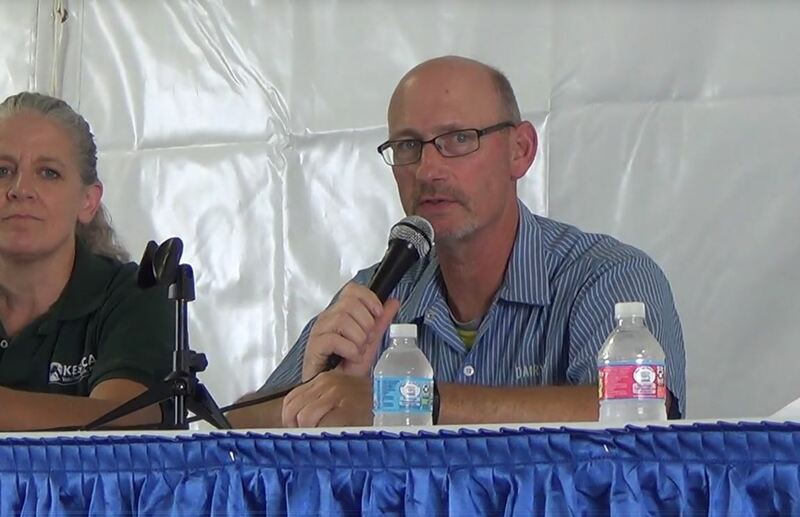 Trace Sheehan, co-producer of the documentary “Food Evolution,” was the meeting’s keynote speaker. He shared his experience working on the film, which centers on the contentious debate over genetically modified organisms (GMOs). Later that evening, attendees were invited to a screening of the documentary and a question-and-answer session with Sheehan. In other meeting news, NMPF’s annual cheese contest was won by a pepperjack cheese made by Michigan Milk Producers Association in its Middlebury, Ind., processing plant. NMPF’s member cooperatives submitted a record 194 entries, totaling 3,070 pounds of cheese products. Also this week, NMPF welcomed four new members to its Board of Directors: Tom Beringer of Bongards’ Creameries, Leon Berthiaume of St. Albans Cooperative Creamery, Brad Nosbush of First District Association, and Brian Rexing of Dairy Farmers of America. NMPF also recognized retiring board members Ralph McNall of St. Albans Cooperative Creamery and George Mertens of Dairy Farmers of America for their contributions to the industry. Dairy Farmers of America’s communications team scored several awards in NMPF’s annual communications competition, including the top “Communicator of the Year” award. 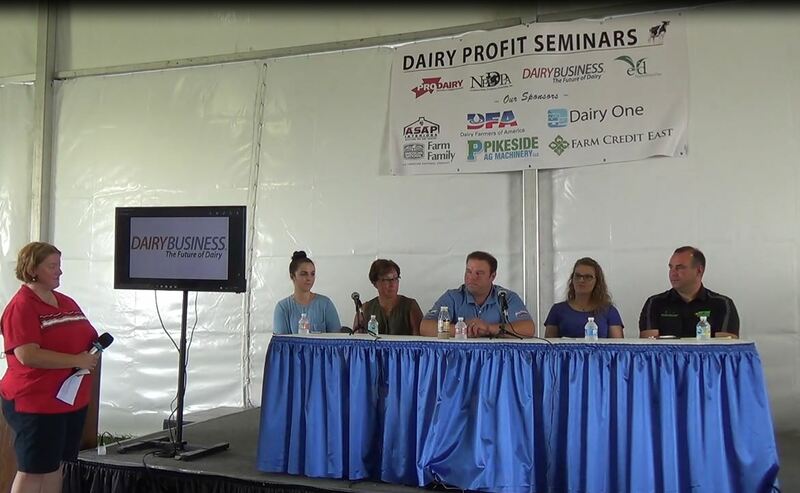 NMPF’s Young Cooperator Program hosted its own full day of speakers on topics including food marketing trends, optimizing dairy cattle feeding, and how to manage farm ownership transitions between generations. The 2018 YC Advisory Council also selected its leadership for the upcoming year. Justin and Jennifer Malott of Smithsburg, Md., who are members of Maryland & Virginia Milk Producers Cooperative Association, were elected as the new Chaircouple. Josh and Emily Reinhardt of Red Bud, Ill., members of Prairie Farms, were elected Vice Chaircouple, and Nate and Jenny Elzinga of Zeeland, Mich., members of Michigan Milk Producers Association, were elected Secretary Couple.